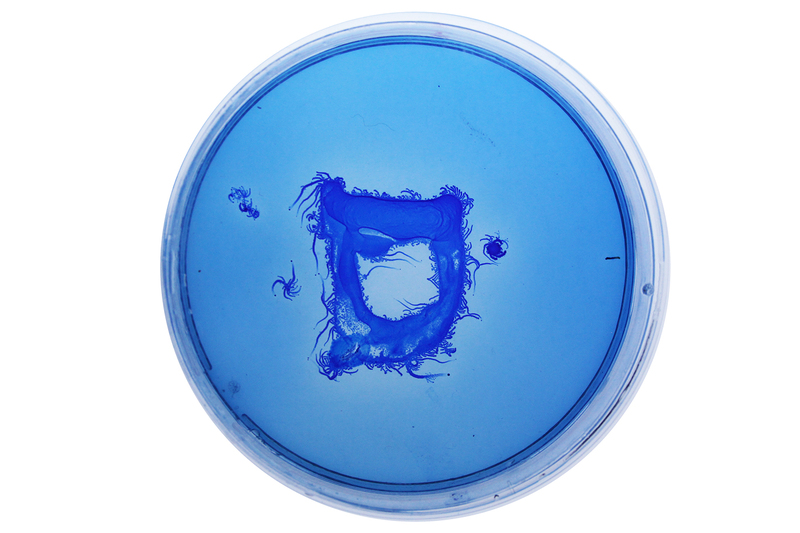 An interdisciplinary BioDesign project, dealing and questioning the evolution of the Hebrew language and letter, using scientific procedures and working with a live organism – the Paenibacillus vortex bacterium. 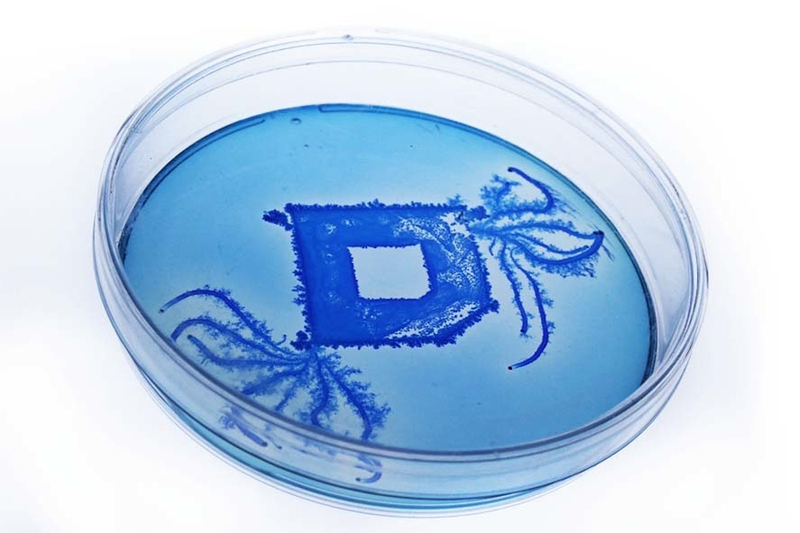 My Living Language project was first presented as my final thesis at Bezalel Academy of Art and Design in Jerusalem at the department of Visual Communication, where I started to develop an ink based on biological matter. 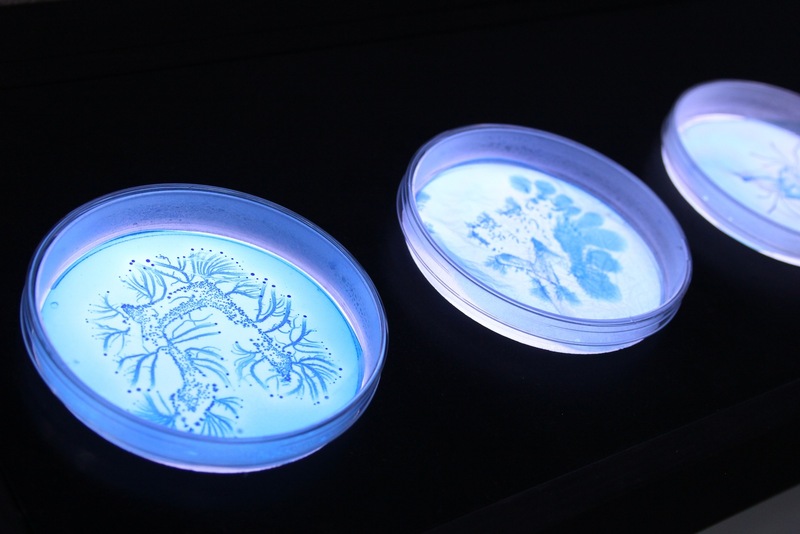 The ink was created using Paenibacillus vortex bacteria, with it I explored the interactions between nature and culture. 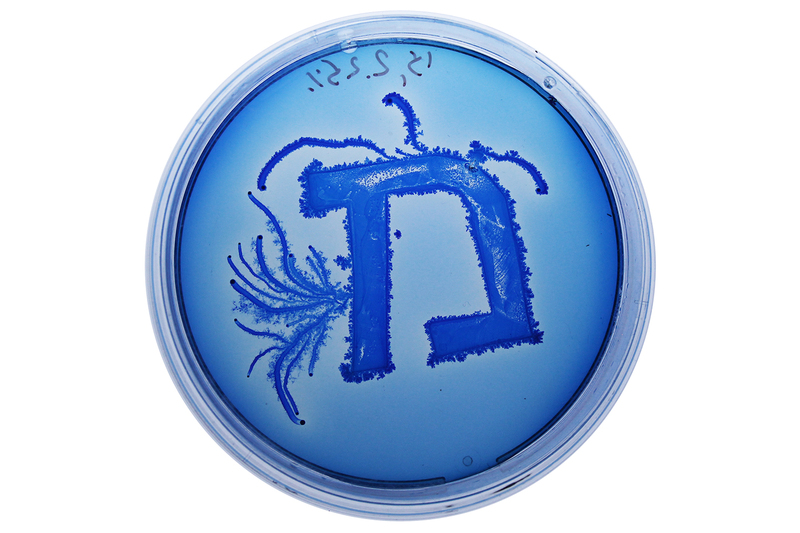 This ongoing project also explores the developing states of the Hebrew language and the Hebrew character. Using my research, experiments and results, questioned nature, culture, character and language with some new theories of my own. The Hebrew language was unspoken for almost 2000 years, and was referred as a “dead language”, till the times of the “revival of the Hebrew language” period which started about 120 years ago. In light of those events and the fact that I picked an unusual material to work with, the most suitable title for my project is “living language”. I wanted to make an invented path / a new and exciting process of how the Hebrew alphabet might have developed during those 2000 years. So as I’ve said, I picked a live organism to show me the evolution process in a very short period of time, and I took a glimpse and “stopped time” at certain points. Those points are actually frozen snaps on the timeline of the Hebrew alphabet evolution. Well, the invented one. 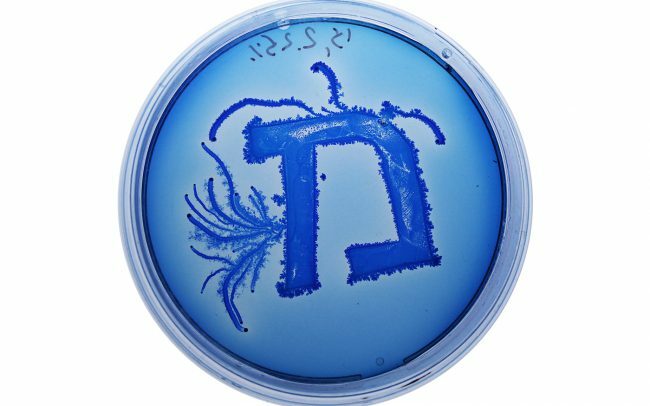 In this case, I tried to answer some linguistic questions using an unusual method and to see if I could re-create the evolution process of the Hebrew letter, using a set of scientific rules and live organism. In my project I’m dealing massively with linguistic questions I raised. The whole methodology of my research is dealing with the evolution of technology and language (which is a sort of technology itself). The Perception of language and its symbols are the exact guidelines and patterns I’m questioning. 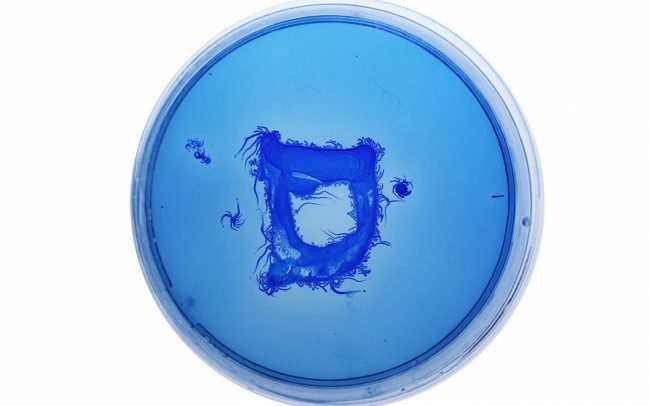 The blue color symbolize in many points throughout the history of art and philosophy, freedom and space, utopia, reaching the point where body and space are one. I placed a living organism in a space where it moves and operates in a total freedom and liberty but it actually lives under my dictatorship and it’s own battle of taking over space. 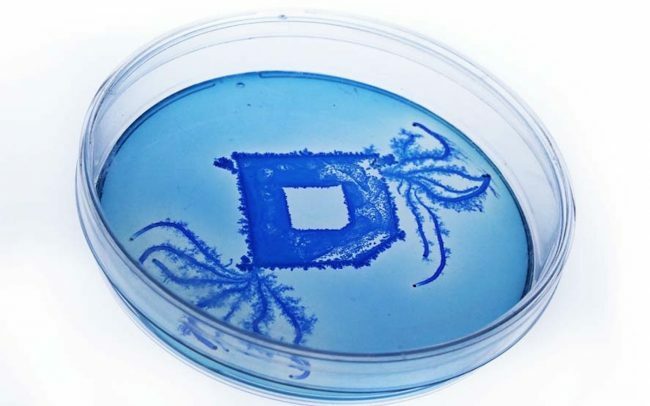 The bacterium doesn’t know that it’s a cultural creature (because it isn’t), but it’s playing in my conceptual game, while there’s actually no difference between me and it – we both operate under linguistic patterns and perceptions.